Why Not Sprout? wonder. grow. thrive. BE FULLY ALIVE! Some programs can be shared at a location of your choosing – ask about our new “to go” menu! This is your life. Be present for it. We have moved to Lansdale. We ask your patience during this transitional time. Our hours are by appointment only. Questions? Call us! 610.222.0700. Come create something new in your life — grow as you were meant to, and show up in the world in a way that feels right for you. Welcome to Why Not Sprout?! We encourage you on your journey of self-discovery, and stand with you as you turn over your inner soil and shine a light on the seeds of possibility within you. Explore a variety of experiences and programs designed to empower YOU to LIVE VIBRANTLY and SPROUT OUT LOUD. 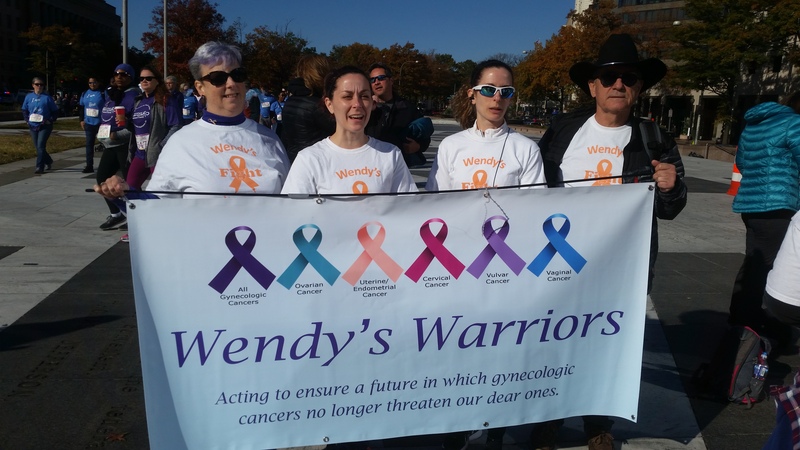 Wendy’s Warriors was once again the top fundraiser for the Foundation of Women’s Cancer last year, raising a whopping $28,355 for the cause! Please keep Wendy and her family in your thoughts and prayers for a speedy recovery! Our Wendy is undergoing surgery on March 6, 2019 to remove some particulary pesky spots that keep returning. She’ll be having her spleen and part of her liver removed. Wendy is the far left in the photo below. As the top fundraiser, Wendy was once again the co-chair of the race last year with Camille Grammer. She is an amazingly strong human, and her spirits remain high. Let’s work together to support more research, clinical trials, early detection and treatments for women’s “below the belt” cancers! Bring your curiosity, an open mind, and a willingness to grow.